Old Colorado City is home to the best Farmer's Market in town. You will find it packed every Saturday from June through October. Geographically the Westside should be anything west of I-25, regardless of it’s location. But you’ll find that many folks define the “westside” as anything that is west of I-25 around and south of Gardens of the Gods Road, and north of (lets be bold here) Lake Avenue. This is also where the Broadmoor is. The lines are blurred and everyone seems to have their own definitions. Among Colorado Springs residents, the WESTSIDE is almost like it’s own little country. It stands out as one of the most eclectic, diverse, and interesting parts of town. A picture of the Westside is like looking at a mosaic of the most intriguing folks around. 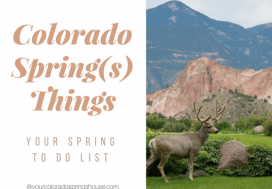 It certainly isn’t like any other part of Colorado Springs and is widely described as a place of character. One resident shared that living on the Westside is like “Leave It To Beaver”, adding that everyone is so friendly, neighborly, and loves living here. It is a tight-knit group of folks who are very relaxed and community focused. Those who live in the Westside are very proud to address themselves as “Westsiders”! You’ll hear “#Westsidebestside” or “Once a westsider, always a westsider”. Traffic can get a bit chaotic as the cars push themselves through the sometimes narrow streets during high traffic times, but you don’t have the high volume North-South traffic that you’ll see up north or on the Powers corridor. Unless it’s the weekend and all of Colorado Springs is heading to or from the mountains via Highway 24 West. 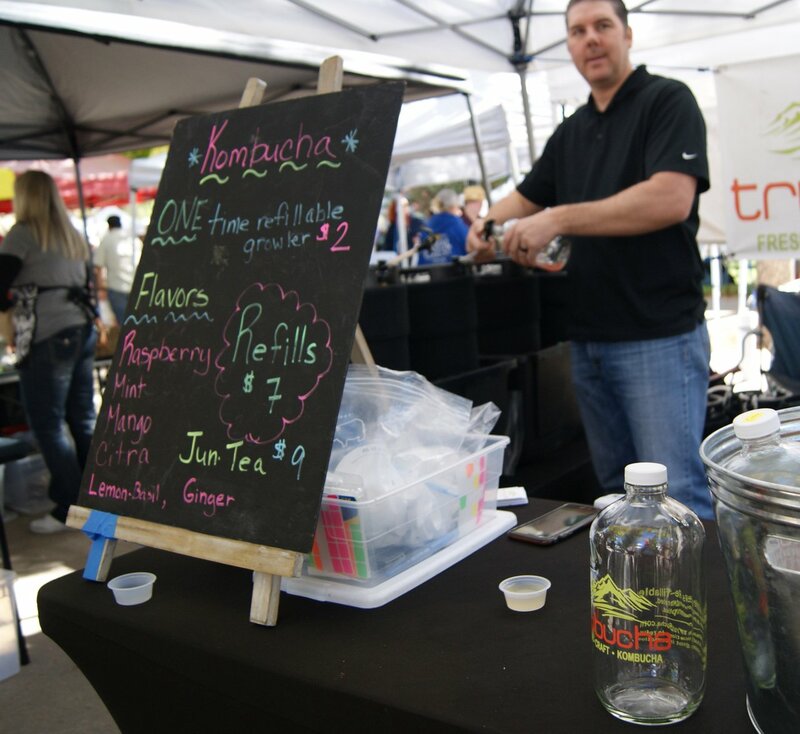 Old Colorado City is home to the best Farmer’s Market in town. You will find it packed every Saturday from June through October. 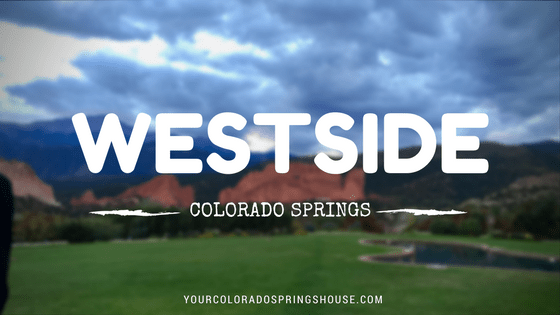 The Westside of Colorado Springs is the area West of I-25, South of Garden of the Gods Rd., East of Manitou, and North of Lake Ave. It’s a small patch of the city that acts as the gateway to fun in the mountains. 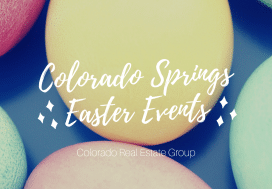 Occupied with clusters of neighborhoods, it also contains some of the best places to visit in the city: Garden of the Gods, Rock Ledge Ranch, Bear Creek Park, Old Colorado City, the Broadmoor, Seven Falls, Cheyenne Canyon, Cheyenne Mountain Zoo, Stratmoor Open Space, Penrose Event Center, Red Rock Canyon, and Section 16. As home to the most amazing natural and historical sites, this part of town is nothing like suburbia. Since the Westside is snuggled up against the mountains, wildlife in the neighborhoods is common. Deer, bear, and mountain lions are all possible. While coyotes are not seen very often, they can be heard many nights as they bark and howl. Every neighborhood is in walking distance to a park or hiking trail. Downtown is only a 5-10 minute drive from anywhere in the Westside. I-25 is easily accessible as well. School District 11, Harrison School District 2, and Cheyenne Mountain School District 12 all converge in the Westside. It’s the only area of the city that has 3 school districts within its borders. Zip-codes range from 80906,80905, 80904, 80907. 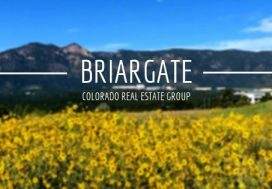 There are NOT a lot of [big] shopping opportunities, best is to zip up I-25 to University Village Shopping Center who has nearly everything you need. The Westside contains some of the oldest parts of our city with numerous historical sites and structures. Many of the neighborhoods are also older, providing great opportunities to purchase beautiful, old homes, or to restore one. As the area grows in popularity, housing prices are creeping up, especially with limited inventory. Since the neighborhoods are older, the trees and vegetation abound and are much more mature than the rest of the city. Both Fountain Creek and Bear Creek keep the Westside green. Land is at a minimum on the Westside, so there is little new construction for homes. The newest community is the master-planned development of Gold Hill Mesa. It is a beautiful New Urban Neighborhood with single-family homes and townhomes. A community center provides amenities and hosts regular activities open to the public. Brightly colored houses and lovely greenways between the homes provide ample safe space for children to play or for couples to stroll. This community has plans to expand and add retail centers. Visit their website for more info. For some Colorado Springs residents who live in other parts of town, the westside might come across as a bit mysterious and “worlds” apart. I would call it “Original Colorado”. Article: Gold Hill Mesa: The New Suburbia on the Westside. This part of town is where Colorado Springs started, therefore you’ll see some of the oldest homes here (like the “Old North End”). Chain restaurants are hard to find on the Westside. However, dining options are plentiful! Westsiders love their food and they love to go out to eat. Some of the best restaurants in the city are located on the Westside and many of them can be found along Colorado Avenue. In addition, cafes, coffee shops, and breweries are in places like IvyWild, the Broadmoor, and Old Colorado City, as well as tucked away in the most unlikely places. Like to sit outside? Find Westside patio restaurants here! If you are looking for established neighborhoods, multiple outdoor parks and unique places to shop and eat that are only a few minutes from home, the Westside is for you. You will find young families in the Westside, but not to the extent that you do in other locations. This area of town is best for those who live active lifestyles and enjoy interacting with their neighbors and participating in community events. The Westside is quick access to the best hiking trails in the city. Since it is tucked up close to the mountains, the views are spectacular and there seems to be less of the “sounds of hustle and bustle” and more of the wind through the pine trees. It feels less like a city and more like a small mountain community.